A Haryana court on Wednesday dismissed an application filed by one of the 13 verified witnesses, Rahila Wakil. New Delhi: A special National Investigation Agency (NIA) court in Haryana’s Panchkula on Wednesday acquitted all four accused -Aseemanand, Lokesh Sharma, Kamal Chauhan and Rajinder Chaudhary- in 2007 Samjhauta Express blast case. On February 18, 2007, a blast in the Samjhauta Express that connects India and Pakistan killed 68 people, mostly Pakistan national. The NIA in its chargesheet said that the explosion targeted Pakistani Muslims. The incident happened at Diwani village near the industrial town of Panipat, 160 kilometres from here, in Haryana, when it was heading towards Attari, the last station on the Indian side. The NIA in its chargesheet said the blast was carried out using IEDs and inflammable substances, which caused a fire in two coaches of the train in Haryana on the night of February 18, 2007. Two unexploded suitcase bombs were also found in other compartments of the train. 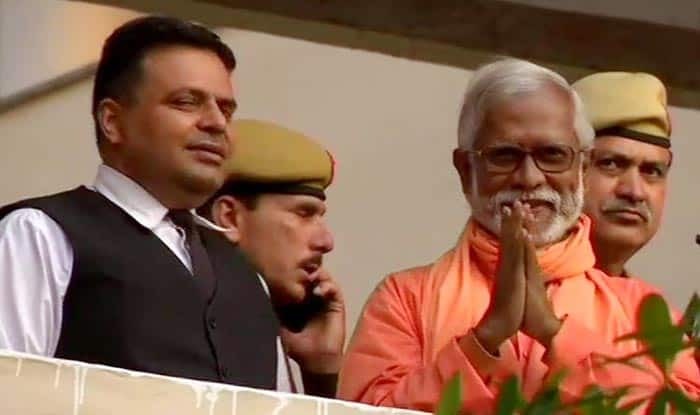 Aseemanand, a member of the right-wing Hindu group Abhinav Bharat, was alleged to be involved in the bombing. Sunil Joshi, the alleged mastermind, was found dead in 2007, in Madhya Pradesh’s Dewas, while Ramchandra Kalasangra alias Ramji could not be traced. Lokesh Sharma, Sunil Joshi, Sandeep Dange and Ramchandra Kalasangra were named in the chargesheet. Earlier in the day, the court dismissed an application filed by Pakistani woman Rahila Wakil, one of 13 verified witnesses who were summoned by the court. The Samjhauta Express, named after the Hindi word for “agreement”, comprises six sleeper coaches and an AC 3-tier coach. The train service was started on July 22, 1976, under the Shimla Agreement that settled the 1971 war between the two nations.